You probably must’ve heard that money begets money. This is true when you are starting a business. Initially, before your business gets on its feet, you’ll spend money – a huge chunk – before you can experience any money coming in. If you want to know that money makes money consider, for instance, before you can open the doors of your business, you have to build the business first. Subsequently, before you can sell goods and services you need to hire people to help you produce these goods and services. Before you can make sales in the future, you must advertise and spend money on generating leads too. To put it another way, it’s inevitable not to spend money before you can make a significant amount back. If you want to ensure your business remains relevant for years, ensure to prepare a budget. A budget helps maintain the growth of your business while allowing you to spend less. When you set up (and maintain) a budget it becomes easy to manage your business in its entirety. This post provides insights on how you to set and use a budget to run your business. What Makes a Good Budget Structure? The framework of a budget includes numbers that represent a variety of calculations. These calculations are what make up the structure of a budget. However, the front page of your budget reflects the volume and price of particular products and service, in the form of calculations. These calculations indicate expenses that could be in the form of marketing campaigns, location, and the number of business assistance. With such a structure, you have a finance and operations budget closely interlinked together. You can use this format to create a budget that helps run the daily activities of your business. While ensuring your finances are kept in check. Cash Flow Statement vs Income Statement: Which of the Two Formats Suits You Best? If you just launched your startup venture, you’ll need a good budget structure. And the format that perfectly suits your new business is the cash flow statement structure. But if your business is much more established, you can use either of the two budget formats for proper inventory and accounting for receivables. These two budget formats are specifically used for financial purposes. They are designed with businesses in mind. From a financial standpoint, both formats are designed to help manage your revenue, but also ensure to fund any financial shortfalls your business may incur. The good thing about having a financial budget, you’re able to tell when shortfalls are about to happen. This gets you well prepared by planning early on how to cover the shortfall through either pulling up resources or securing realistic loans. When you determine the exact expenses and revenue your business generates, you’ll be able to incorporate details on your budget to synchronize with your monthly financial reports. This makes easier to budget. For startup ventures, it might be impossible at first to have enough information to create a good budget. But you can ensure it works eventually. What Information to Feel in Your Budget? As a new business, you may wonder what kind of information you need to fill your budget with. This doesn’t have to be complicated information. Every year your business gets to record shortfalls or profits that the budget aptly records. It is this information – results from each performing year – and needs to be recorded in your budget. That way, you are able to tell whether you’re making a profit or a loss every business year. So start with the current year you’re in if you’re a startup venture. If you run an established business, you can go through your budget and minimize areas that brought in losses or shortfalls in that particular business year. You can review your budget to get a clear view on what you were exceeded or fell short of, for accountability this is important. Budgeting challenges can only arise if you’re a new business. Most startup ventures don’t have a clear or ready reference point to create a sustainable financial budget. However, through your business plan, you can come up with a forecast of your intended budget by looking through the financial section of your business plan. How to Use and Maintain a Financial Budget? To have a clear budget for your small business, ensure to create a clear report that covers monthly financial reports. This report should contain amount budgeted for, the actual results, and any differences experienced in the current month and the last year. One thing you should know is, numbers in the budget remain unchanged irrespective of whether any major market shifts or changes in operations. However, the same cannot be said of an early-stage business as it requires to remain flexible all through. In other words, its financial budget needs to include what happened mid-year till to date, and what is expected in the next half year. There are tips for preparing a budget for a small business. If you incorporate these ideas in your creating a budget, you’ll experience great results. List down key numbers you want to feature in your budget. You don’t have to calculate or input any details. 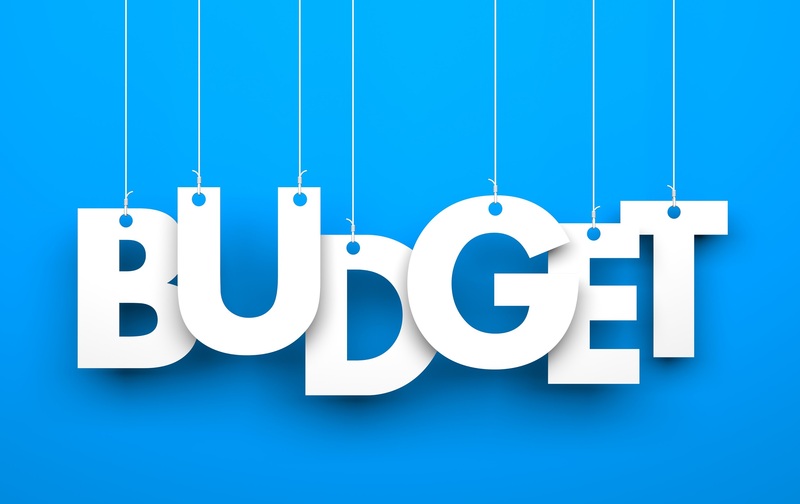 Just create a general outline for the budget. Create a revenue section where you input your product and services. Should also include what you stand offer and the number of clients you expect once the year ends. In this section, you can also put the prices of your products and services, and the volume you intend to sell in the coming year. Do you have a marketing plan? Great! List down important details such as your email marketing plans, your website, advertising, sales team etc. How important are the sales of your product and services? Make sure to list down any sales and separate them from your income tax returns. The latter is government money. So make sure to keep the amounts separate. List each category of costs in your budget. Make sure to keep them separate. That is fixed costs in one area, semi-fixed on another, and variable costs at the very end. Fixed costs include staff, audit, insurance, rent etc. Semi-fixed costs include advertising charges, and this could depend on how much they’ve increased or decreased in a certain period of time. Then there are variable costs. These are charges incurred from producing a product like labor services and materials used. Once you list these categories separately in your budget, it makes for easy planning. Consider expenses in your budget. From a financial standpoint, expenses are easier to predict than sales. Thus create room for any possibilities in the future. You can work on reducing sales and increasing expenses to deliver great results to your customers. Employ the use of software to create a budget. This will make the process of creating a budget a lot easier and interactive. However, it may take you some time on your first try to come up with a good clear budget. But once you get the hang of things, you’ll have a good experience with using spreadsheets. Setting up and maintaining a budget for your small business takes time. In fact, you need to understand what you’ll be using the budget for and why. But most important is to understand how budgeting will help grow your business, if not help running smoothly. With a budget you are able to understand how much you spend, and how much money you’ve received over a given period of time (mostly a year). This will help you discover where your money goes and any shortfalls will be nipped in the bud before they occur. Not only is having a budget important but also crucial in managing your finances. So before you take the initiative, understand how your business operates. Is it an established business or an early stage startup? What are your expectations financially? Once you answer these questions you are able to understand which format of budgeting to use for your business. You can incorporate a financial format of cash flow statement or income statement. The former is best prescribed for new businesses. While established business can incorporate both formats when creating a budget. Understand where your budget information will come from prior to creating a budget for greater accountability. Then learn how to use and maintain a budget for a small business and incorporate budgeting ideas for smoother running of your small business. How to Budget When Building an App?